Interestingly, another school sat on this site prior to the construction of the Rosenwald School. That school was built around 1870 by Mt. Zion Methodist Church, located across the street. When the school burned in the early 1920s, Mt. Zion helped secure funds for its replacement. The Rosenwald Foundation stipulated that black and white communities must work together to raise matching funds in order to receive building monies for new schools. Children from first through sixth grades were taught at the new school, called Mt. Zion School or Mars Bluff School. Due to limited funding, school met for only part of the year, eliminating two to four months from a typical school year. The school operated until 1952, when the Mars Bluff Consolidated School opened. Today the school remains very much as it was when it was built in 1925. However, the porch was restored sometime in the 1980s during a preservation effort. Mt. Zion United Methodist Church contributes to the preservation and maintenance of the building. Mt. 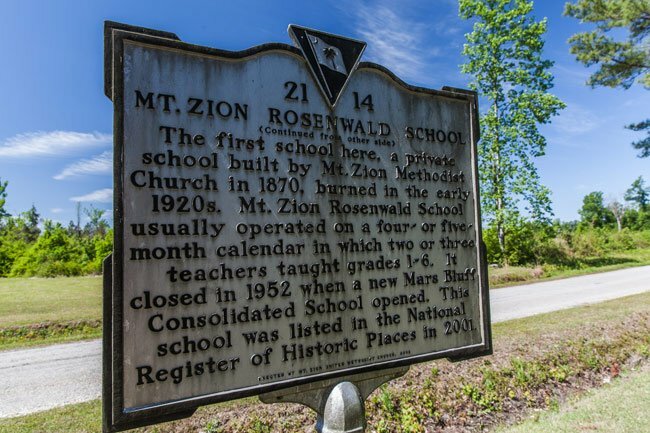 Zion Rosenwald School was built in 1925 as a rural black school. It was significant for its role in the general development of public education for blacks in the state from 1895 to 1954 and also for its role in one of America’s largest non-residential experiments in standardized architecture intended to provide “separate but equal” facilities for white and black school children. 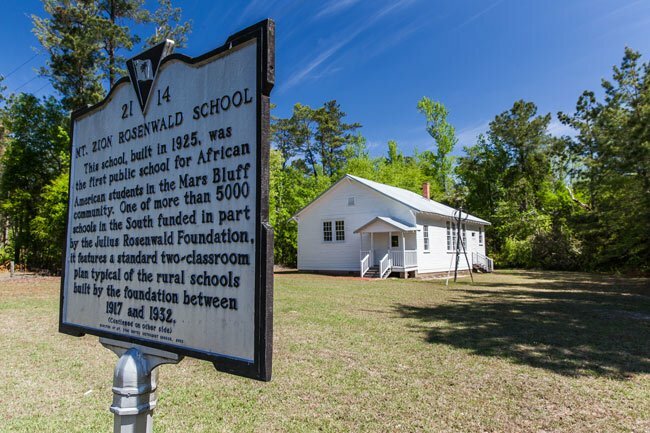 The school also acts as a reminder of Julius Rosenwald Fund’s commitment to the improvement of black education and racial cooperation in the south in the early twentieth century. 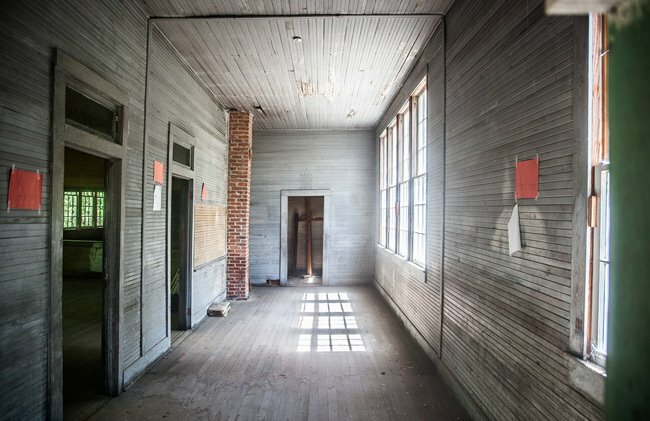 Construction of the project was funded in part by the Julius Rosenwald Fund, which helped build more than 5,300 black school buildings across the south from 1917-1932. To receive money from the Fund, the local black community and local white community both had to contribute. Most of the schools were phased out in the 1940s and 1950s as improved roads and the introduction of school buses allowed consolidation of students into more efficient and larger facilities. The Mt. 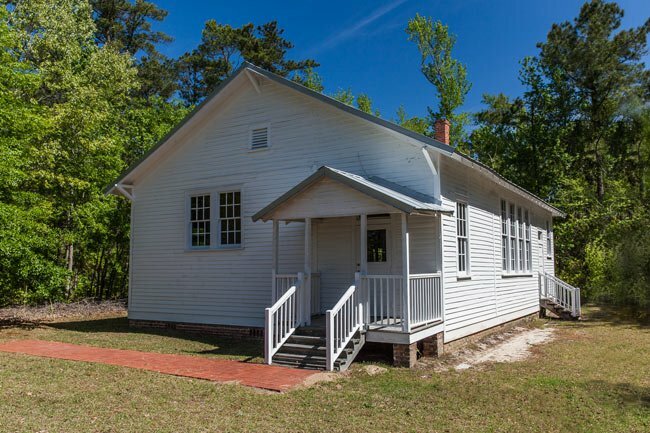 Zion Rosenwald School was typical in construction of a “two or three teacher” type school. The school is a rectangular frame building with tall exterior windows designed to take advantage of the climate and available light. Have family members who were students there. Any student listings by name/ surname? Interesting know more about this and its history. I may have had family members who attended this school.